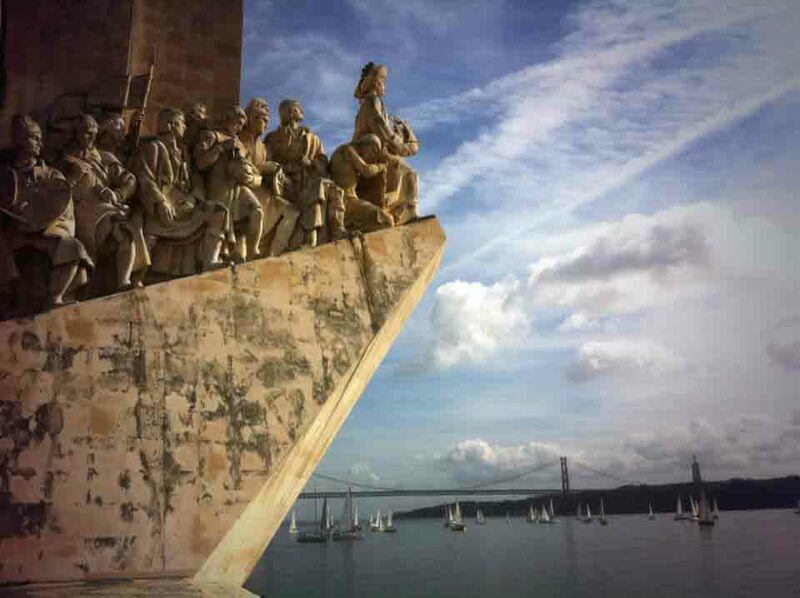 Portugal sits on the edge of Europe in relative obscurity, especially when compared to neighbouring Spain and France. Most people have not only heard of Spain and France, but could easily list a few facts about each country and its culture. Although most people don’t know a lot about Portugal, there are at least 10 things that almost everybody thinks of when they think about it. Portugal is famous for the production of Port Wine, which is produced in the Douro Valley in Northern Portugal. Although some other countries produce a port-style wine – South Africa, for instance – only port wine produced in Porto can be called Port. You’ve probably tried Port before, and most likely that was around Christmas time. In Portugal, Port is drunk throughout the year. It’s a popular dessert wine, and is often ordered at the end of a meal in Portuguese restaurants, or as part of a cocktail like Port and Tonic. Many people when they come to Portugal are surprised by the number of different types of Port that exist. 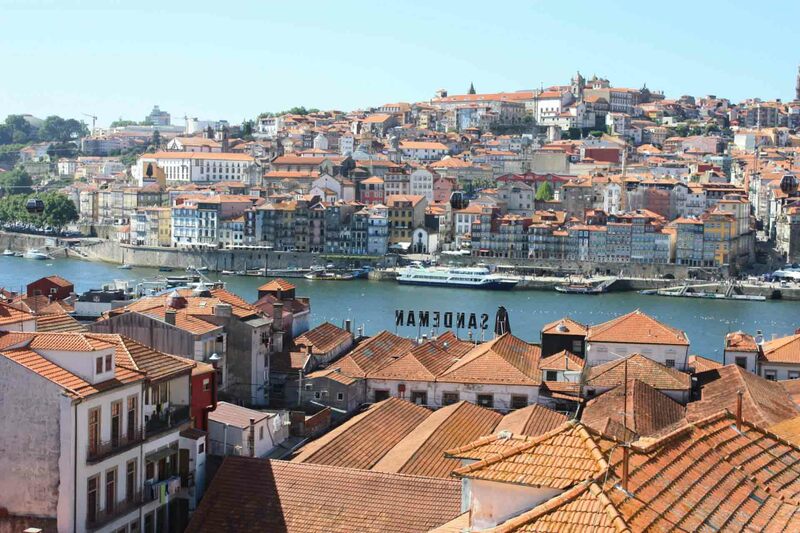 Outside of Portugal, you can usually just find Tawny or Ruby Port. Inside of Portugal, you’ll also find White Port and Ruby Port as well as subcategories of each. Ruby Port, for example, is an umbrella category that includes several Port types including Late Bottled Vintage (LBV), Crusted, and Reserve. It’s impossible not to think of football when you think of Portugal. 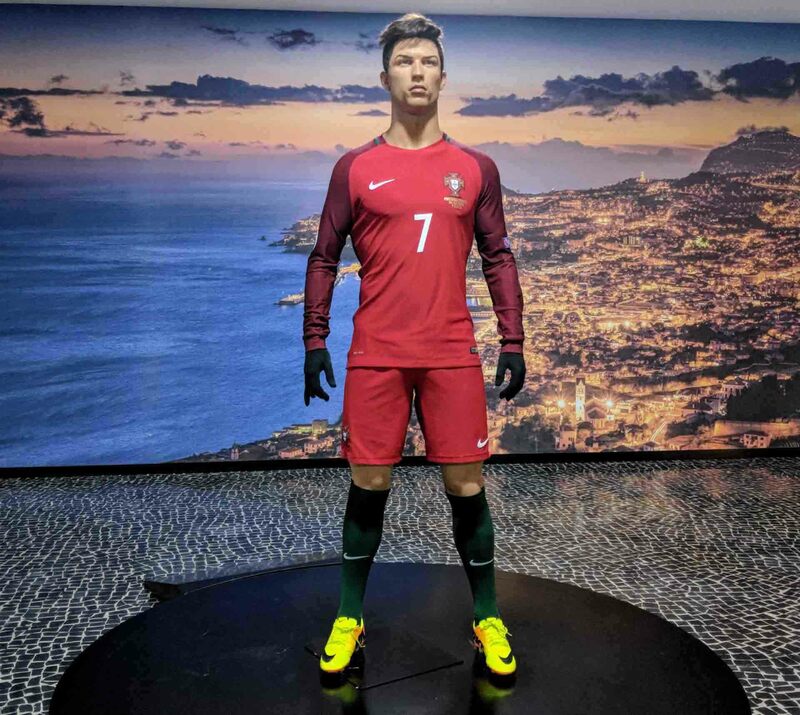 Most of Portugal’s most famous celebrities are footballers, for example Cristiano Ronaldo, Luís Figo, and Eusébio. And although Portugal has yet to win the World Cup, Portugal has been successful in other competitions like the UEFA European Championship which they won in 2016. They’re also frequent runners up in any football competition, and always a force for other teams to reckon with. A few years ago, nobody had heard of Portugal’s delicious custard tarts. Now you can walk into any bakery in any major western city and expect to find them on the menu. They’re usually not as good as the ones in Portugal, where competition for the best is fierce, but they’re often not bad either. 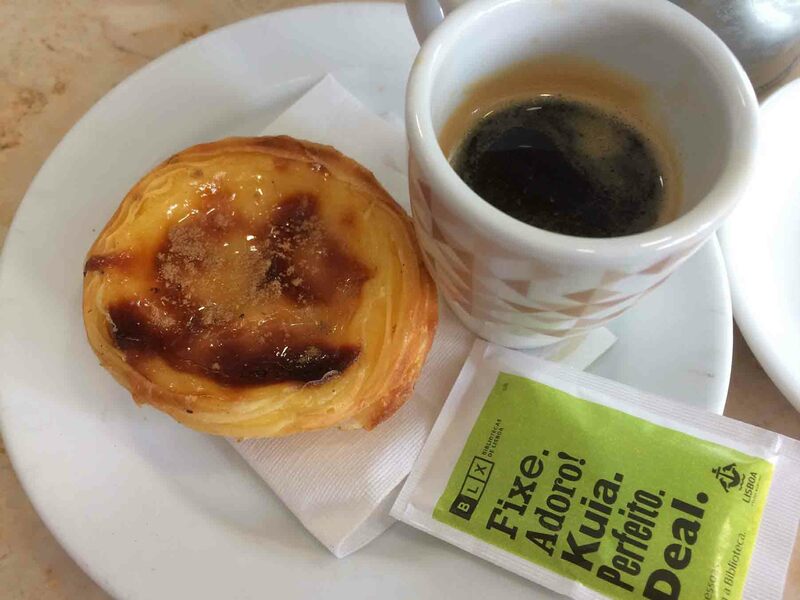 A café (or bica) and a pastel de nata. Notice how the coffee isn’t filled quite to the top. Pastéis de nata, or Portuguese custard tarts as many people like to call them, is Portugal’s biggest gift to the culinary world. Crunchy, soft, and gooey – they’re the perfect compliment to a cup of black coffee. But as great as pastéis de nata are, they’re not the only cake Portugal makes. Portugal makes tens and possibly hundreds of different cakes, but unfortunately most aren’t easily available outside of Portugal. You’ll just have to come here to try them. Aside from the pastel de nata, other Portuguese foods that you should look out for include cakes bolos de arroz, queijadas de Évora, and guardanapos, as well as main dishes like bacalhau, frango piri-piri, and leitão. Portugal is one of Europe’s most popular golfing destinations, and the Algarve in particular is home to some of the most popular golf courses in the country. Portugal’s golf courses have been recognises by several golfing organisations and publications. In 2014, Portugal won awards for being both the ‘best golf destination in Europe’ and the ‘best golf destination in the world’ at the World Golf Awards. In the same year, six Algarve golf courses were listed in the publication Golf World’s Top 100 Courses in Continental Europe 2014. Portugal is one of Europe’s top surfing destinations, and every year thousands of wave-lovers flock to destinations like Lagos in the Algarve, Peniche in Oeste, and Matosinhos near Porto to put board to water on Portugal’s Atlantic coast. But Portugal isn’t just another surfing destination, it’s where some of the top surfing records have been broken. In 2012, Garrett McNamara entered the Guinness Book of Records for surfing the highest wave ever recorded. The Hawaiian surfer managed to catch a 78-foot wave just outside of Nazaré, around 90 minutes north of Lisbon. Invented in the little town of Guia in the Algarve, Piri-Piri chicken is Portugal’s second gift to the culinary world. Many people think Nandos is Portuguese, which isn’t really true. It’s actually a South African restaurant chain based upon a Mozambican recipe, but with a Portuguese theme. 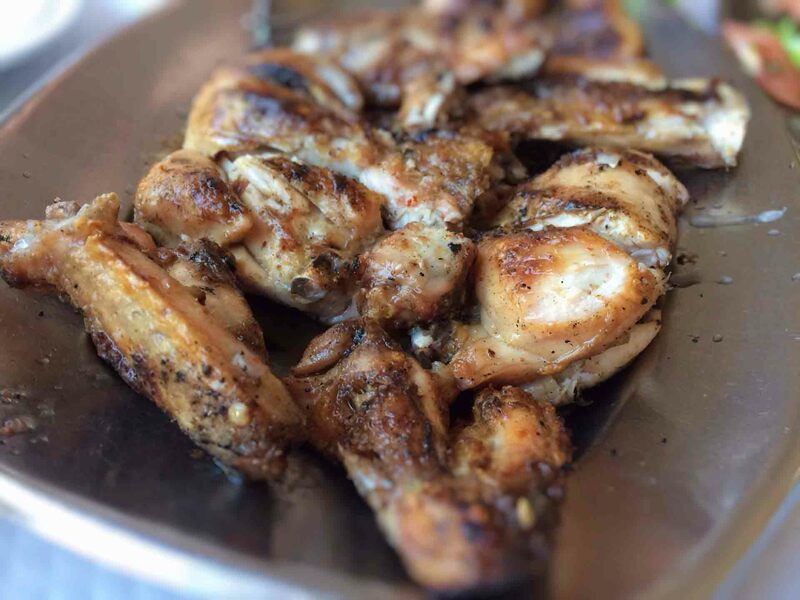 That probably sounds quite confusing, and it is, but come to Portugal and experience what real Piri-Piri chicken tastes like. Many people are surprised to find that almost none of the items on a Nando’s menu can be found in Portugal. Although Portugal is now an obscure country on the corner of Europe, it was once one of the biggest empires in the world. Portugal was also the first country to go in search of the new world and, had that not happened, the world would be a very different place today. The Portuguese were the first to round the tip of Africa, make it to India by sea, and to discover Brazil. Many (Portuguese) people also believe that Christopher Columbus came from Portugal, possibly from Madeira. Portugal is the world’s top cork producer, and is home to the largest cork forest in the world. Cork and cork-based products make up roughly 2.3% of Portugal’s exports. Demand for cork, particularly within the wine industry, is declining rapidly as more and more wine producers switch to alternatives. This isn’t so much the case within Portugal. Go to a Portuguese supermarket, and you’ll see that almost all of the wine has a cork stopper. Internationally, however, more and more wine producers are switching to the screw cap and other alternatives. In response, Portugal has gotten very creative and tried to come up with new and creative ways to use cork. You can now buy handbags, purses, wallets, shoes, mousepads, ipad covers – you name it, all made for cork. 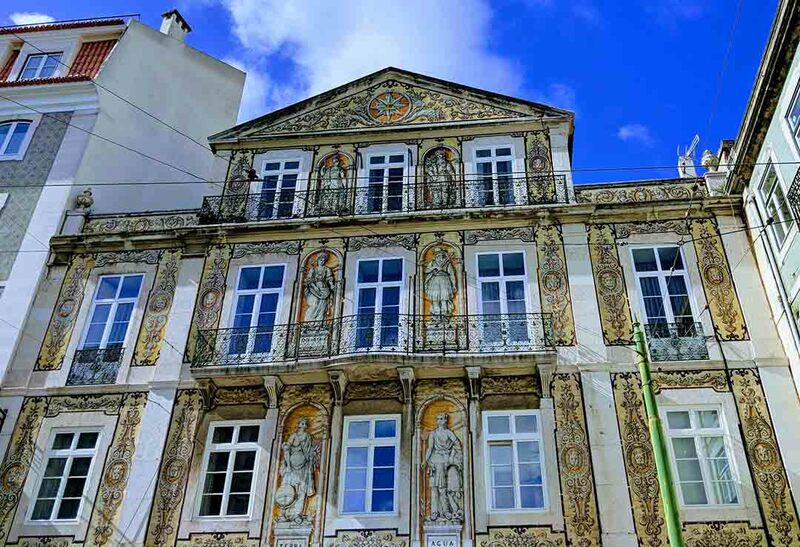 Portuguese buildings, particularly those in Lisbon, are just incredibly photogenic thanks to the beautiful tiles that line the outside of the buildings. Tiles are used to regulate heat in the buildings, and the concept was introduced into Portugal when Portugal was under Moorish rule. When Portugal regained control, it kept the tiles but with one slight change. Painting people is prohibited under Islam, and the early Moorish azulejos used geometric shapes as their designs. This rule doesn’t exist in Catholicism, and so tile makers began painting elaborate scenes often of the Portuguese explorers going around the world, daily life in Portugal, religious scenes, and pictures of royalty and rulers. Note: Tile theft is a big problem in Lisbon with people removing tiles from the outsides of buildings in order to sell them illegally. 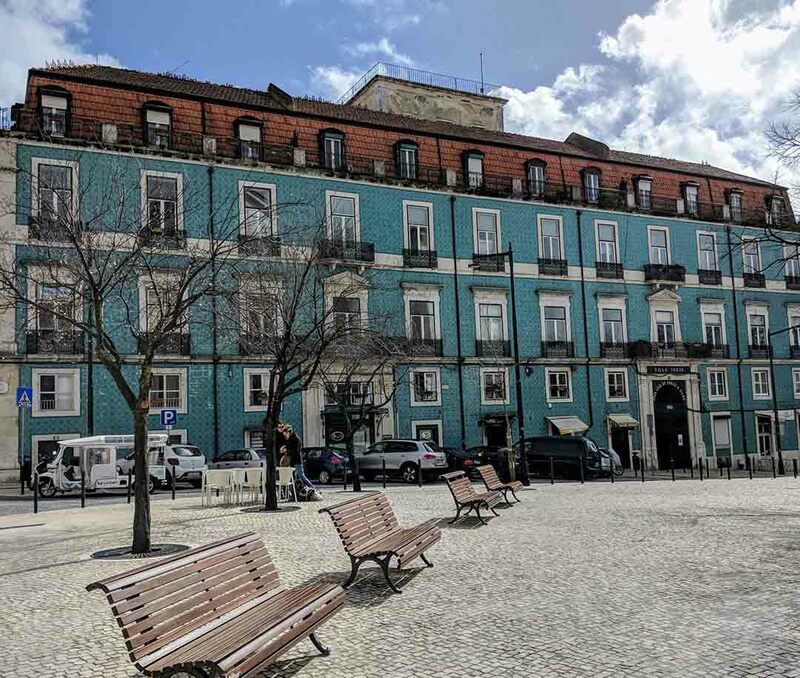 Be very wary of buying antique tiles, particularly at flea markets like Feira da Ladra. Portugal has some of the best beaches in the world, particularly in the Algarve which also has more than 300 days of sunshine ever year. Praia da Marinha, in particular, has received countless awards and has been featured on CNN and TripAdvisor, while Dona Ana in Lagos has been featured in Condé Nast Traveller Magazine. Have we missed anything else that Portugal is famous for? Let us know in the comments below. Fado–a distinctively Portuguese style that expresses saudade, a longing for something or someone distant, absent, or maybe even never encountered. Sung, usually solo, with guitar accompaniment. Cork–it grows on trees, in Portugal! Made into bottle stoppers, pads to put under hot pots or plates, or bowls; also, shoe soles. Sliced thinner for surface decoration or trim on bags, belts, etc. “The Three Marias” –three prominent Portuguese feminist writers whose collective book of creative prose pieces (mostly nonfiction) about the truths of women’s lives incurred the ire of the then-dictator Salazar, who threatened to throw them in prison for publishing it. An international feminist network translated excerpts from “New Portuguese Letters” and gave readings in more than a dozen cities worldwide, to call the situation to the attention of feminists and generate support for the authors. Newspapers took up the cause of the Three Marias. And then, in April 1974, a revolutionary but peaceful movement overthrew the Portuguese dictatorship. People danced in the streets and stuck carnations into the muzzles of soldiers’ rifles. Maria isabel Barreno, Maria Fatima Velho da Costa and Maria Teresa Horta were never judged–the trial was interrupted. I had the pleasure and privilege of visiting them all during the summer of 1974. It is also famous for its salted cod, OMG I love it, especially when my grandma makes it for, back in Portugal. Portugal is also quite famous for cork for they grow many cork trees and many things are made of cork like bags and sometimes shoes if you go into a tourist shop you will more than likely see plenty of items made from cork. it also has vary good oranges,hope I could help! Sesimbra in Portugal is a beautiful village surrounded by sea and cool breeze . This place is also famous for family vacation. The beach in sesimbra is beautifully surrounded by trees, mountains, track to jog, restaurants, and quiet waves. Heavens! You forgot the beautiful tiles. I could not see enough of them. fish of anywhere in the world. You neglected to mention the beautiful mason work on the walkways and crosswalks, etc in Lisbon and Lagos, two of the cities I visited. The designs are elaborate; some with optical illusions. I took many photos of the different walkways. You also forgot to mention the people of Portugal. I totally enjoyed my 1st visit to your beautiful country. You’re right. I think this article is definitely due an update. There’s a list of famous Portuguese people here.